A homegoing service for Mr. Basilio “Jerry” Arazo, Jr. of Tampa, Florida who passed away on Monday, October 15, 2018, will be held on Saturday, October 27th, 12:00 at Aikens Funeral Home, 2708 E. Dr. Martin Luther King, Jr. Blvd., Rev. Cynthia Ball, officiating. Basilio was born December 21, 1952 in Tampa, Florida to the late Basilio Arazo, Sr. and Mercedez Valdez. He attended the local schools of Hillsborough County. He joined the United States Army and was honorably discharged after serving his country. Basilio enjoyed fishing, art, writing, crafting and loved to dress to the nines. He also enjoyed all types of music, especially “oldies but goodies”. He was a good provider and always put his family first showing love to all he knew. 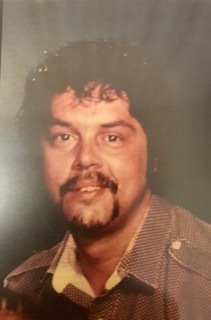 He leaves to cherish his loving and devoted wife, Dora E. Arazo; children, James Charles Hamilton-Williams, Jr. (Cynthia), Basilio Arazo III (Lashawn), Angelisa Lynette Crawford and Chenita Arazo (Patricia); 47 grandchildren; 25 great grandchildren; brother, Raymond Arazo (Saith); sisters, Hilda Arazo (Juan) and Josephine Ida Sweep; fur baby, Bobo; and a host cousins, great nieces and nephews, other relatives and friends who will dearly miss him. The visitation will be held one hour prior to the service. The family and friends are asked to meet at the chapel for the service on Saturday.